I’d always thought that only polygonal shapes could have a fill colour and a stroke path in Adobe Illustrator, but recently I’ve discovered that strokes can also have stroke paths applied to them too. I’m finding this really useful when drawing things like roads and tracks that need their edges defining with a darker border. I began this model of the Temple of Apollo at Delphi some while back, but only now have I got around to finishing it. It’s a low polygon model, nothing fancy or intricate, and the dimensions are as best as I can get from the literature. The temple today is about as ruined as anything could be, so everything above ground is pretty much conjecture, although there are rules to Greek architecture and some well-preserved examples, so it’s likely not far off. The model was made using Autodesk Maya and rendered in 3ds Max. It has a simple ambient occlusion material applied and it would originally have been polychrome, i.e. it would have been pretty gaudy! The Stormtrooper 1 and AT-AT 2 are there for scale. 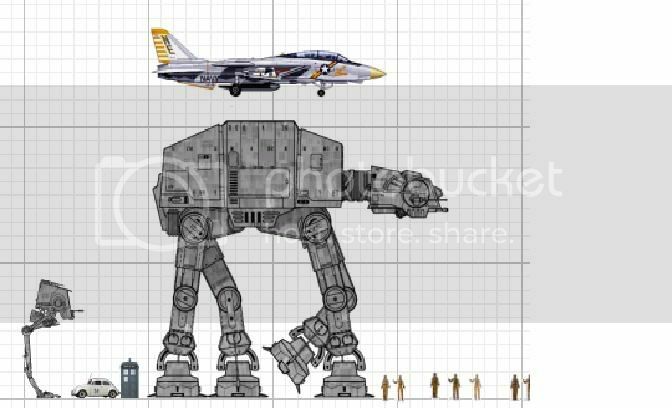 The Stormtrooper is c. 1.8m and AT-AT is, I don’t know, as big as it is. Who knows? It’s not as if it’s real thing or anything. Anyway, it’s scaled to the height of the Stormtrooper based on an image I found searching on Google. Deal with it. Can archaeobotany benefit from 3D printing technology? This is incredible. The video below, from the Fraunhofer Institute for Computer Graphics Research (Fraunhofer IGD), showcases what the latest 3D digitisation technology can achieve. Their CultLab3D modular scanning system can take a cultural artefact and produce a high resolution 3D model in just ten minutes. Amazingly, this system carries out all the post processing, image colour correction and texture creation automatically; all the curator has to do is place the object on the conveyor belt at the start, and remove it at the end. Through automation, 3D digitisation can now be carried out at scales previously unheard of, bringing with it a reduction in cost. By bringing down the cost of 3D digitisation, Fraunhofer IGD claim to have made it financially viable for institutions to digitise whole collections. So you’ve created a dense point cloud with vertex colour in VisualSFM, (or any other software), and now you want to convert this into a textured 3D model. How do you do that? With MeshLab, creating textured meshes from point clouds is a straightforward process. This quick tutorial will show you how.